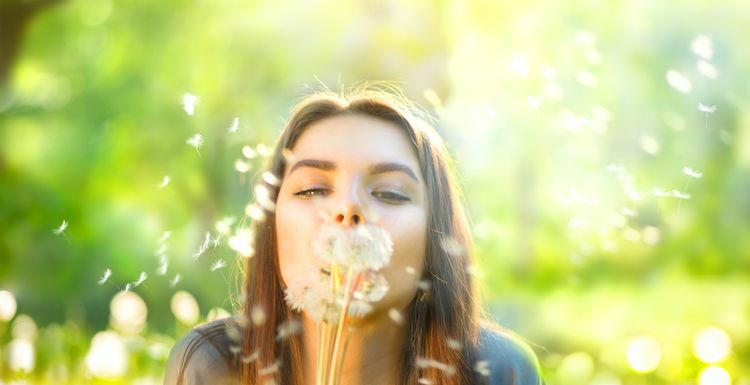 Dust, hayfever, foods, pets – there are plenty of things out there to bring on allergies and it’s easy to get down about it, or reach for the antihistamines in a bid to try and knock them on the head. Exercise can help you fight your allergies too. When you exercise you are boosting the immune system, as white blood cells are circulated faster around your body. These are the good guys that travel around your body fighting off viruses and allergens. The faster white blood cells can circulate, the more chance you have of beating off the allergen before it starts to affect you negatively. Exercise opens up your blood vessels, allowing those white blood cells to pass through easily, and also to aid key nutrients to get around more easily. Nutrients are vital for our bodies to function to the best of their ability, and help fend off nasty colds, allergies, and general feelings of awfulness. You might not be feeling like a massive gym workout if you suffer from allergies, as they can leave you feeling pretty miserable, but if you can manage a simple walk to get your heart rate going, then you are doing some good. If it’s grass pollen that sets you off then try the treadmill at the gym. Work with your allergy! Weight training is another great way to release endorphins and encourage blood flow through the body. Don’t try and beat the World Strong Man title, but stick to easy weights to open up the blood vessels and help fight the allergies. Endorphins are sometimes overlooked, but exercise releases heaps of them, and that’s the chemical is our brains that makes us feel great! When you feel good, chances are those allergies are going to feel less of a burden, and you’ll boost your wellbeing all-round. please remember (sneeze) those of us (sniff) with hayfever, for whom this otherwise beautiful time of year is a bit of a (cough) nightmare. That's why we are grateful for the gym - we'd love (wipes eyes) to be running in fields but right now it isn't happening!